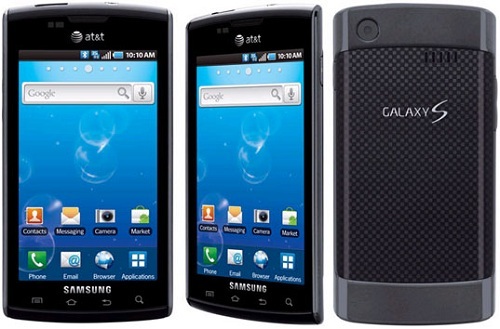 This guide will help you update Samsung Captivate SGH-I897 with Android 4.2.2 CM10.1 RC2 Jelly Bean Custom ROM. If you have experience with installing Custom ROMs then this shouldn’t be all that difficult for you. Either way, the guide is here to ease the entire process for you. Please proceed with caution. Before you being please backup your data so you don’t lose it if something goes wrong. Please understand that this tutorial will work for only this version of Samsung Captivate, do not try on other devices. This is a third-party ROM and not an official one. Before you begin please download and install the proper USB drivers for your device and make sure that you have at least 50% battery before you begin the procedure. Be very careful, if your phone shuts off during flashing, there is a chance that you might end up bricking your phone. Turn off you device and wait around ten seconds before you power it back on into Recovery Mode by pressing and holding Volume Up, Home and Power buttons together. After the installation is complete, please reboot the system. Since it is the first run after installation, it might take up to five minutes so don’t worry, just be patient. Once the device powers up, make sure everything is running. Restart your phone again into CWM and follow step 6, only this time install Google Apps. You are now fully updated. Enjoy! Disclaimer: the tools, mods and or ROMs mentioned through the course of this website belong to their owners and Rewritetech does not own anything. We are responsible for providing detailed tutorials and guides alone. In case of any damage caused to your cellphone or any device that you might be using, Rewritetech will not be held responsible. Please proceed at your own risk.